Good morning darlings! I recently scooped up three polishes from Zoya when they were doing their promotion for the "Get three polishes for free, just pay shipping" thing and they finally arrived over the weekend! I had a bit of a hard time deciding which color I wanted to use first so I made my husband pick and he immediately selected Shivon. Shivon kind of made me feel like bottle pink fire lol. The color is so unique and I love how it has this blazing gold shimmer but is a pink base. 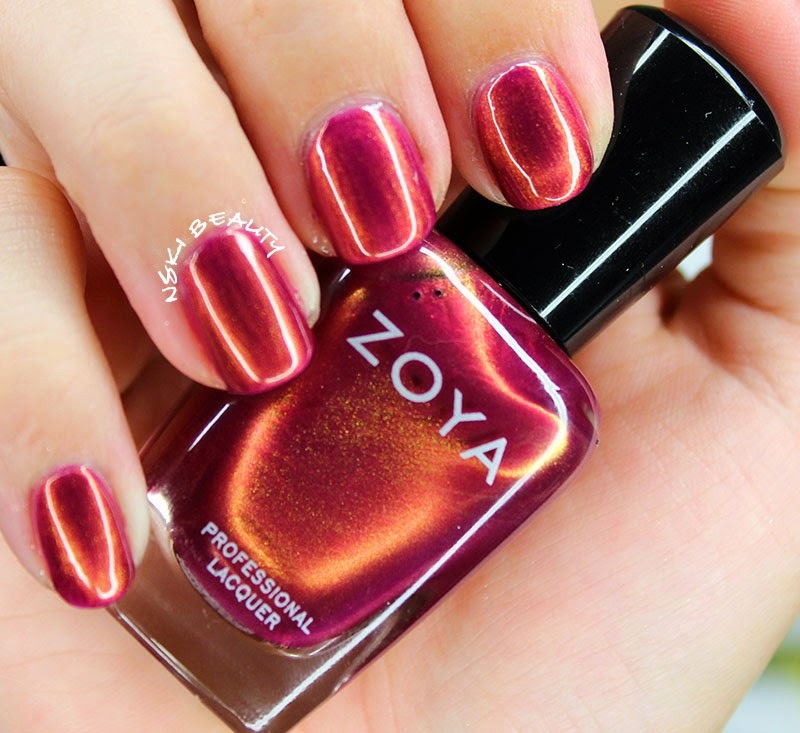 As someone fairly new to Zoya polishes (I think I only have two from previous ipsy bags but they were kind of strange colors LOL) I don't want to say the formula is thin but its not thick either. With the right application you could get the color to apply opaque but I was happy with my usual two coat approach. Over all I'm extremely happy with the polish now to see how its stay power is. I'll keep you darlings posted as the week progresses! 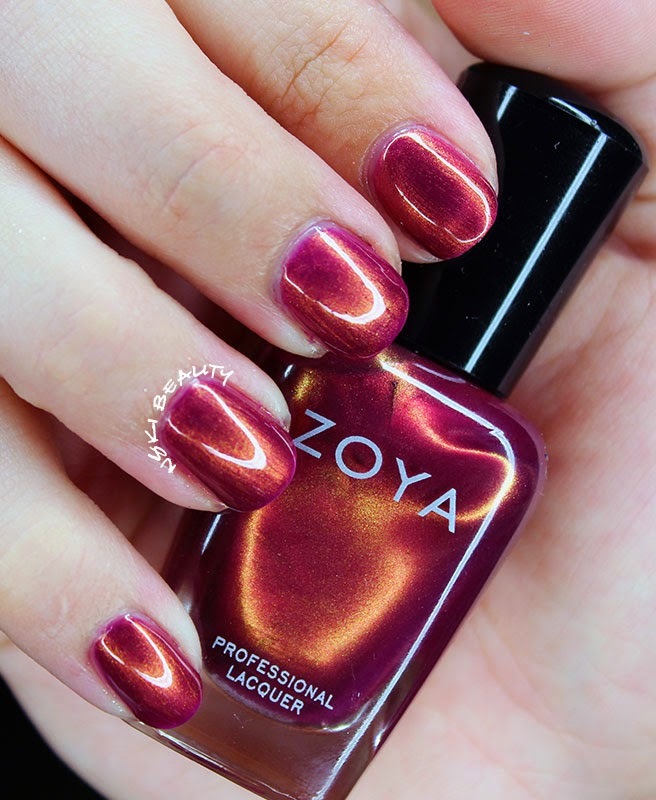 I didn't know that Zoya was doing that promotion, but that's probably a good thing because I know I would have splurged. Shivon is a gorgeous color. I can't wait to hear your updates on how it lasted in comparison to other polishes. that looks gorgeous! Those shades, wow. Veryyyyy pretty color. I personally would like to know how you were able to apply this sooo perfectly without getting it all over your skin. It looks like a professionally done application!! I've never used Zoya brand before. Can you get it in stores? This color is gorgeous! I actually looked at your post and went WOW!!! Fantastic color. I love the gold with the pink base! So unique!! Ah! I love this color!! They look like gel nails! What a cool color! I've never seen one like this! I honestly love this shade! That color is other worldly! I'm not usually a fan of polishes with a metallic finish but this is so unique! I love the pink/gold undertone! I completely love this color. love the duo chrome. Love the color of the nails, amazing!